Here’s another couple pics from the strange fruit file. The back story is unconfirmed, but it appears to be just another fine example of intrepid boldness in the face of mundane financial obstacles, like unused cubic inches in a shipping container. 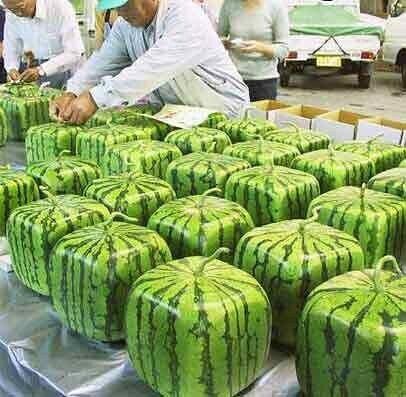 Stupid conventional watermelons, just don’t stack well. So, um, what would a diaper look like for this thing? If you have more pics like this, or want to build your own creepy/creative backyard mash-ups, please send us the pics!